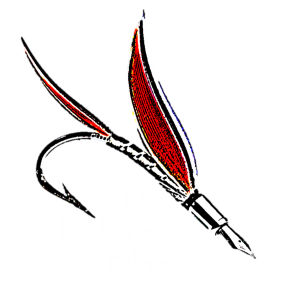 A number of years ago, Patrick Cooney wrote a top ten list of books about fish. Here, we revisit that concept for children’s books with a list of ten titles that have inspired us and our own young fry at the Fisheries Blog (listed in alphabetical order, these books are all too good to rank!). Consider these for any aspiring Eugenie Clarks or Spencer Fullerton Bairds in your family and please add any other favorite fish books in the comments section below! What happens when you over feed your fish? The fascinating diversity of fish and things they can do! Fish, rhymes, numbers, colors, tongue-twisters to flaunt; what more could you want? The true story of Eugenie Clark, the famous shark biologist. It’s amazing what you can accomplish with a little cooperation (including a nod to optimal foraging theory, too!). One small little action can change your whole perspective! With a lesson on sharing and friendship. This is a very special lady with a very special digestive tract! A simple and understated lesson on why not to steal. Please add other favorite fish books for young fry in the comments section below!